This post is sponsored by Bloomlife. Thank you for supporting the brands that I love! This post is for all my expecting mamas out there. I have partnered up with a really cool company called Bloomlife, and I'm so excited to share it with you! Bloomlife is a women's health company whose focus is on improving the health of moms and babies. Through the use of their clinically validated tracker, expecting moms can now automatically track and count their contractions - it is seriously so handy! You rent a tracker from Bloomlife (use the code AMC10 for 10% off your weekly rental!) and they send you everything you need to start monitoring your contractions. Included in your box are the following: a Bloomlife sensor, patches, a sensor charging cord, and a quick guide that walks you through how to use your sensor. It's everything you need to get started and let me tell you, it is super simple. I was a bit nervous that the setup and everything would be complicated and tricky, but it was so easy to use. I was very pleasantly surprised. To get started, you just download the app in the app store, and it will easily walk you through setting up your device. Once you have the app and have gone over how to use the device, you can begin tracking and counting your contractions. All you have to do is apply the device to your belly (again, very easy to do and the directions on how to properly position the device are very straight forward.) Then, you get comfy, and start tracking! It's a great idea to get into the routine of wearing your Bloomlife for an hour or two every evening. You need to be sitting down, so I love to curl up with a good book while I'm tracking. Most moms like to use Bloomlife for the last 6-8 weeks of their pregnancy to monitor contractions. But you can really start whenever you'd like, as Bloomlife allows you to match your rental period to your specific pregnancy needs. Something I really love about Bloomlife is how easy it makes it to track and count contractions. With my last pregnancy, I tried out several different contraction counting apps, and all of them were so hard for me to use. I had to push a button when each contraction started, and then push it again when it ended, and often times I wasn't even entirely sure when exactly they were starting or fully stopped. And then sometimes I would forget to use the app at all... it was just really inconvenient! Bloomlife makes it SO easy because if I'm feeling contractions, I can just sit down with my device on and it will automatically count and track all of my contractions for me. I literally don't have to do a thing but sit there, haha. It just makes it so easy! Bloomlife gave me a code for you guys to use, if you'd like to try out a device! You can go to the Bloomlife website by clicking HERE, and then use the code AMC10 for 10% off your weekly rental! I'm so excited to be able to share this company with you all because it is one I genuinely love and believe in. I've been trying out and using the monitor personally and I can honestly say that it is a product that I believe you will love if you are an expecting mama. Let me know in the comments below if you have any questions about Bloomlife and how it works and I will be happy to answer them! I'm starting a new series called "Small Shop Feature", in which I'll be sharing some of my FAVORITE small shops. If you have your own shop, feel free to reach out! I'd love to try out your products and feature them here if they are a good fit! As you can tell from the pictures above, I have been meaning to post a feature on this shop for a LOOOOOOONGGG time... I mean...see James' crib?? haha He's been in a toddler bed for a couple of months now. Regardless, my love for this shop has not wavered one bit. Megan Nielsen is the artist behind Little Pine Artistry, and to say she is talented would be an enormous understatement. There is just something about her art that I adore so so very much. She does watercolors of nature and whimsical animals. They are BEAUTIFUL pieces...PERFECT for a nursery or play room or child's bedroom. James loves his custom bear piece that Megan created especially for his room! He points at it and smiles so big whenever he sees it! This isn't a sponsored post or anything. I just genuinely want to bring awareness to this incredibly talented artist. I think you guys would really love her work, so be sure to check out her shop by clicking HERE. I'm definitely going to be ordering another piece from her for when baby boy number two arrives! What are some of your favorite small shops? Please share in the comments so that I can check them out! It's been awhile since I have done a Five Favorites post, so I thought it would be fun to get one up! I have been trying out some new products and brands lately and I have some things that I am LOVING. I can't wait to share! FabFitFun is a subscription box that comes to you every season full of FULL-SIZED products! The box contains various things related to beauty, fitness, tech, and lifestyle from brands like Moroccan Oil, Trina Turk, Tarte Cosmetics, Dermalogica, Dr. Brandt, and more. I have been dying to try out a box for a long long time because I've seen them posted all over social media. When FabFitFun reached out to me and asked me to be a #FabFitFunPartner I jumped at the opportunity! And let me tell you, the box did NOT disappoint. It is as amazing as I thought it would be - more so! I love all of the products and it is so fun that each season you get a new box filled with new goodies! They gave me a code for you guys: Use the code AMC10 and you'll get $10 off of your first box at FabFitFun.com! I can't say enough good things about this diaper bag. Not only is it BEAUTIFUL, and totally does not look like a diaper bag, but it is also extremely functional. Now that I've been "momming" for a couple of years, I can say hands down that a backpack diaper bag is the way to go. Especially with a toddler. You need those hands (and arms) free, mama! This bag is great quality and I can fit so much into it. Get the bag here. You've heard me rave about the Core Rehab Program (click here for more info. on Core Rehab) for postpartum mamas and how it helped me to heal my abdominal separation after having my first son (read about my experience with the program here and here). Well, the creator of the Core Rehab Program has a program for pregnancy and it is just as amazing! I have been doing the prenatal workouts throughout this pregnancy and I love them and how they make me feel! You can learn more about the workouts by clicking here! I have this necklace with 'james' on it and I just love it so so much. You can get it personalized to say whatever you want and I think it is so special. I wear it all the time (I switch off every day between this necklace and my mama and baby bird necklace!). I can't wait to get this necklace with the new baby's name on it once he arrives! I'll get it in an 18" chain and wear it with my 'james' disc necklace above it. This would make such a great gift for a new mom! For reference, the disc necklace I have is in the rose gold color, brushed metal, 16" chain. Click here for the necklace. I hope you guys enjoyed this edition of Five Favorites! I'll do more of these, I promise. They are so fun to do. Let me know what you are currently loving in the comments! I wanted to come on here real quick to tell you guys about this incredible new company that some friends of ours started: Elfbox. Now, let me start off by saying this is NOT SPONSORED. I am just genuinely very excited about this service and our whole family really loves it! So, what is Elfbox? It's a monthly toy subscription! Every month, you get a new box full of toys, tailored to your child (or childrens') ages! The toys are all non-electronic, high quality, classic toys. You get a mix of toys that are sensory, music, motor skill, and problem-solving oriented. You play with the toys for a whole month, and then you receive a new box full of NEW toys. Once you get the new box, you send back the old box full of toys (it's free to mail it back). If there is a toy that you'd like to keep from your box, you simply don't send it back and you will be automatically charged for the (discounted) price of the toy. It's seriously SUCH a cool idea! We have received two boxes so far, and I was nervous that maybe the second box wouldn't be as great as the first one. But really I think it's almost better! James was SO excited when a new green box showed up at our door. He knew exactly what it was! I shared some videos of him opening his new Elfbox on Instagram, it was so cute! Click here to sign up for Elfbox and recieve your first box for only $10! I'm pretty sure every girl would agree: wearing something special under your clothes just makes you feel more confident! I personally love pretty underwear. I love lacy, delicate, beautiful pieces. Just wearing them under clothing makes me feel confident and it's just so fun. I am obsessed with Gooseberry Intimates! They make the prettiest lingerie ever and it fits juuust right. I have been following them on Instagram for awhile now after seeing gorgeous bits of lace peeking out from under some of my favorite bloggers' and fashionistas' clothing. And let me tell you, this stuff is JUST as pretty in person. Now that I'm feeling more comfortable in my postpartum body, it's nice to have some new pieces to help make me feel confident, and beautiful! My recommendation to all of you ladies out there: splurge and invest in some high-quality, drop-dead-gorgeous lingerie. Do it for you and for how it makes you feel! You deserve it! The name 'Erno Laszlo' is iconic in the world of beauty and skincare. He was the very first doctor to create his own line of skincare products that are medically based. Laszlo is also known for coming up with the idea of establishing a skincare routine tailored to one's specific skin type. I have been curious about the new Double Cleanse set from Erno Laszlo ever since I first started seeing it pop up around the blogosphere. I have fair, sensitive skin so the Sensitive Double Cleanse Travel Set was the perfect choice for me. The set consists of an oil-and-bar duet that work together to nourish and moisturize sensitive skin, all while cleansing it. Infused with anti-inflammatory plant extracts, the set removes oils, makeup, and any other impurities, leaving your skin feeling soft, dewy, and fresh. 1. Begin with the oil, massaging it gently onto dry skin. This step is great for removing makeup! 2. Next, without rinsing the oil off of your face, lather the cleansing bar with warm water. Then, rub the lathered up cleansing bar all over your face in gentle, circular motions. The solutions from the oil and the bar will work together to cleanse your skin. 3. To finish up, rinse your face thoroughly with warm water. Pat your skin dry with a soft face cloth. Et voila! In my opinion, this cleansing set is definitely worthy of all the hype! I highly recommend it! *Thank you to Influenster for sending me this product free in order to review. All opinions are my own. I suffered from really awful morning sickness in my first trimester. It was BAD. If I didn't constantly have something in my stomach, I would feel nauseated and often times would throw up. First thing in the morning was the absolute worst! I only wish I had known about Anchor Nutrition Bars at that time!! Recently, Anchor Nutrition contacted me and asked if I'd like to try out some of their nutrition bars. They are made with natural ingredients and claim to prevent nausea. These bars were designed with pregnant women in mind, so the ingredients are all safe and healthy. They are also effective for the prevention of motion sickness that one might experience while flying, in the car, or on a boat. I was really excited to try these out! It just so happens that a day after receiving these bars in the mail, I was hit with a bout of morning sickness - the first real nausea I have experienced since my first trimester. I instantly scarfed down one of these bars. Within, I would say, ten minutes or so, my nausea was gone! So, in my opinion, these bars really do what they say they are going to do. The taste isn't bad either! I really enjoyed the texture and flavor. My husband had a nibble of one of the bars and he wasn't a big fan of the taste. So, I guess it just depends on personal preference. I like them though! I would definitely stock up on these the next time I get pregnant, or for the next time I travel. Anyways, here is a link to the Anchor Nutrition website where you can purchase some of these bars. If you're pregnant, I highly recommend giving them a try! I love trying out new food products that are made with healthy, good-for-you ingredients. Primal Kitchen sent me a box full of some of their products to try out, and I was SO excited to get my hands on them. Primal Kitchen consists of "Primal-inspired salad dressings and condiments full of healthful, natural fats, superfoods, antioxidant-rich, high-ORAC-scoring herbs and spices… with no offensive, synthetic vegetable and seed oils and no artificial colors, flavors or fillers!" ...Sounds good to me! Basically, they believe that you shouldn't have to sacrifice great taste in the name of health. You CAN have both. Ben and I have been cooking with the Avocado Oil from Primal Kitchen, and we have been loving it! The flavor and scent is very mild, so it doesn't over power the dish. It is made with cage free eggs, and is non GMO, sugar free, soy and canola free, gluten free, and dairy free. It's also rich in antioxidants, vitamins, and minerals. The Dark Chocolate Almond Bars are super tasty and are a great, healthy snack that's perfect for taking with you on the go. Plus, these bars contain more collagen than a cup of bone broth...which is amazing! They are made with grass-fed collagen, are non-GMO, sugar free, soy and canola free, gluten free, and dairy free. Hard to beat! My favorite products are the salad dressings. It is SO hard to find healthy, good-tasting salad dressings. Most salad dressings are full of really really unhealthy ingredients. OR if they are made with healthy ingredients, they taste bland or just downright gross. The Primal Kitchen salad dressings taste amazing AND they are made with ingredients that are actually good for you! There are two flavors: Honey Mustard Vinaigrette and Greek Vinaigrette. Both are made with cage free eggs, and are non-GMO, sugar free, soy and canola free, gluten free, and dairy free! Primal Kitchens also has a healthy Mayonnaise for sale that is supposed to be AMAZING. I haven't tried it yet, but I'd really like to! Go ahead and check out Primal Kitchen if you haven't already. What we put into our bodies is SO important. The ingredients in Primal Kitchen products are ones that you can feel good about fueling your body with! Recently, a friend of mine who is an Independent Director with Thirty-One sent me some fun products to try out! Her name is Tina and her website is TeamPinkPatrol.com and I was SO excited to get my hands on some of the items that she sells! She sent me a cute lunch bag and an adorable key chain. The lunch bag is the Lunch Break Thermal and it is the PERFECT size to bring drinks or snacks along on outings or to work! I’m thinking that once my little one is born, it will be great for toting bottles and snacks in! I love this thermal. It is so handy. My husband and I recently took Gunner to a park by our house, and I was able to bring some food and drinks along for us to enjoy by the lake! It worked great, and *bonus* - it’s super cute and customizable too! The key chain is the Hang-It-Up Key Fob. It is so cute and is perfect for carrying keys or other accessories (binkis, maybe??) around. I always lose my keys in my purse and so having them attached to this key fob makes them WAY easier to find! It has a lobster claw on one end and a D-ring on the other, so you can clip the ends together to hook the key fob around the strap of a bag or the handle of a stroller! My first experience with Thirty-One products has been a GREAT one. 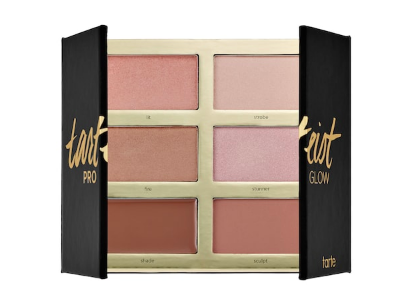 I am so excited to try more of their items out, and I’m so thankful for Tina of TeamPinkPatrol.com for introducing me to her fun, reasonably priced products! I definitely recommend checking out her website. Covergirl and Influenster sent me over some of Covergirl’s newest products for free to test out and review for them. I am already a big fan of Covergirl, and so I was very excited to try out some of their new stuff! They sent me some of their new Oh Sugar Lip Balm in the color ‘Taffy’, and their new Plumpify Mascara by blastPRO. Let me tell you, I am in love. Oh Sugar! is one of the best lip balms I’ve used. It goes on so smoothly, the color is beautiful and natural looking, and this stuff doesn’t dry out your lips. In fact, it contains vitamins that moisturize and nourish your lips while you’re wearing it. I will definitely be trying out more colors! The Plumpify Mascara by blastPRO is great. It makes my lashes look so long and thick, which is what we’re all after, right?? My ONLY complaint is that the brush is HUGE and makes application a tiny bit tricky. But, it also ensures total coverage of all of your lashes, so I think it is worth it for the slightly awkward size of the brush. Bottom line: I highly recommend both of these Covergirl products. Plus, they are affordable and you can get them at your nearest drugstore. How can you beat that? Let me know if you try these products out! I’d love to hear what you think of them! Halo Top Creamery sent me some free ice-cream to try out, and you better believe I didn't put up a fight. Free ice cream? Send it on over! First, let me tell you a little bit about what makes Halo Top ice cream different. It is low-calorie, low-sugar, and high in protein. It's made with all natural ingredients. This all sounds amazing, right? So maybe, like I was, you are thinking that this ice cream can't possibly taste good if it is THAT healthy. My recommendation? Make Halo Top the ONLY ice cream you eat. It tastes great and it is better for you than other ice cream! You can go to their website and go to the 'Where To Buy' tab to find a location that sells Halo Top near you. WORTH IT. Stop your search. I have found THE sunscreen brand for us outdoor lovers! Whether you are frolicking in the waves or summiting a peak, COOLA Organic Suncare products will keep your skin protected. COOLA products go on smooth and they leave your skin feeling soft, with no greasy residue. AND COOLA believes in the importance of caring as much about what you put ON your body as you do about what you put IN your body. That's why their products use natural and organic ingredients that you can feel good about putting on your skin. There is such a wide range of products available from COOLA ranging from lip products, to sprays that set your makeup while offering sun protection, to classic but beautifully scented lotion sunscreens, to light face sunscreens that work well under makeup... They even have a sunscreen spray for your dog! My Recommendation: Get yourself some COOLA! What are you waiting for? To make a long story short, I had one hell of a time finding a backpack. I am a thin, petite girl with little to no extra padding to protect me from the pressure of thick straps - supporting dozens of pounds of gear - digging into my shoulders and hips. I went through backpack after backpack, and each one left my collar and hip bones bruised, cut, and rubbed raw, and my back aching. Each time I would wear one of the other backpacks, I would be in pain and close to tears after just a few minutes on the trail. 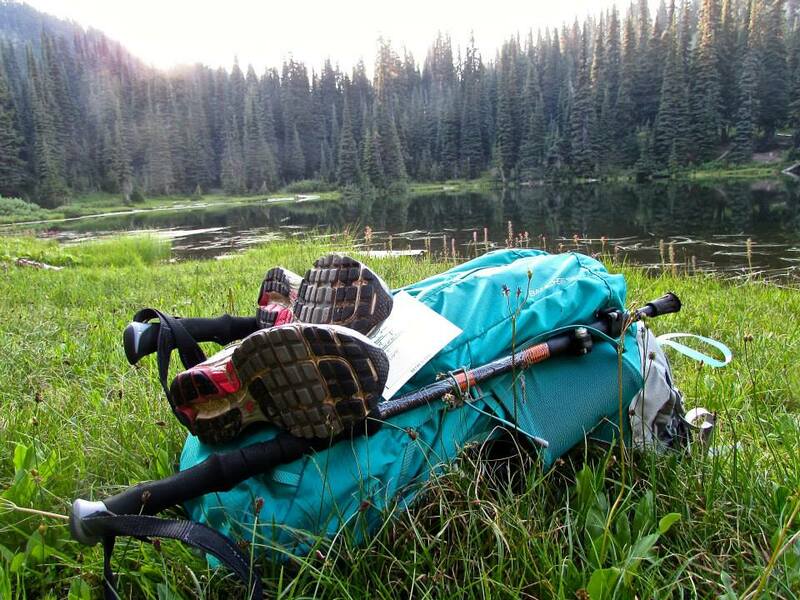 It got so bad, and I had been through so many backpacks with no improvement, that I was about ready to give up backpacking all together. Which was a heartbreaking thought. Then, my husband saved the day and found me the Banchee 50 from The North Face, and my backpacking days were saved! The Banchee 50 is comfortable and durable. My collar and hip bones remained bruise free. I was able to actually enjoy myself while trekking into the mountains with 20-30 pounds of gear on my back. I couldn't wipe the stupid grin off of my face during my first trip with the Ban chee 50. We were a match made in heaven. I love coffee. 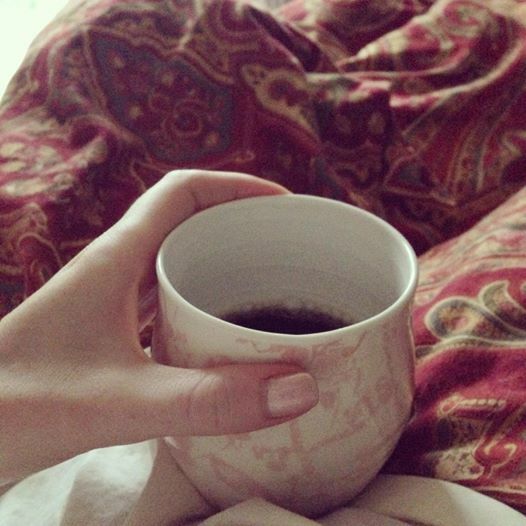 I love drinking coffee, smelling coffee - even rubbing coffee all over my body [see my review of Frank Coffee Scrub]. But what I love even more than coffee is coffee with a cause. When I first heard about Cura Coffee Company, I was not only eager to try a cup of their direct trade coffee, but I was also beyond excited about what the company is doing to make a difference. What It's All About: A dentist from San Diego named Dr. Thomas Fitzpatrick had a dream. He saw a need for dental care in remote areas in Nicaragua. Dr. Fitzpatrick developed the idea for Cura Coffee Company as a means of raising the funds necessary to provide such care and services. Every purchase of Cura Coffee goes towards helping those in need of dental care. Read more about Cura Coffee's mission here. So, How's the Coffee? Well, I am pleased to announce that Cura Coffee is not only doing good - it actually tastes good. Really good! If you're like me, coffee is something you buy frequently anyways. But when you buy a bag of Cura Coffee, you are helping out a great cause, ie - making a difference. That is something you can feel good about. My Recommendation: Get some Cura Coffee! You wont regret it. It is fair-trade, super tasty coffee, AND purchasing a bag helps provide dental care to those in need. Win-win. Purchase a bag [or four] at www.curacoffee.com. Bags of coffee are just $15, and Keurig compatible cups are just $16 for a pack of 18. And you get a toothbrush with your order. How cool is that? 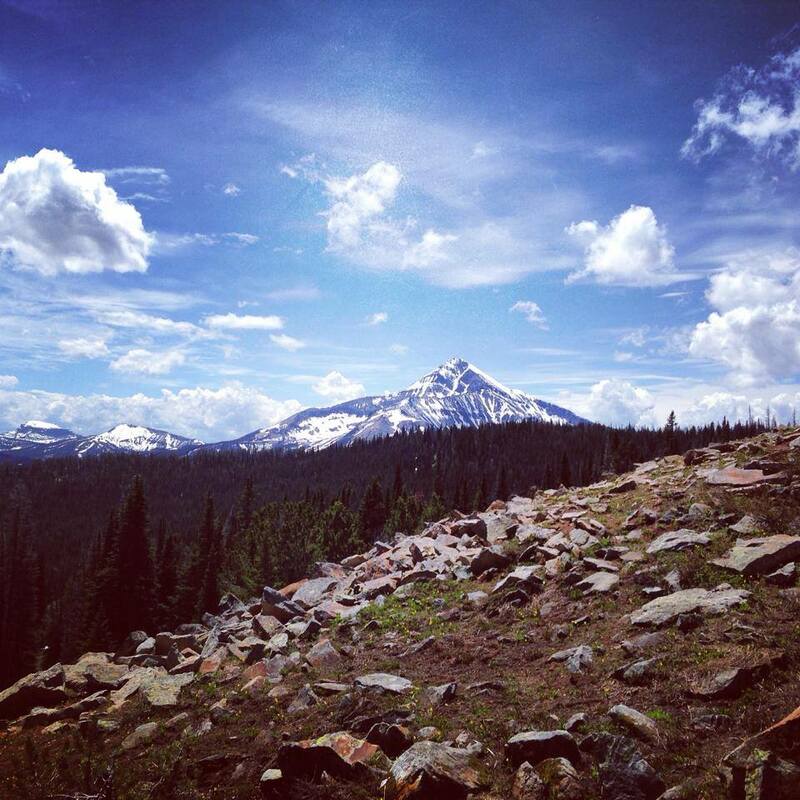 When I heard that Beehive Basin in Big Sky, Montana is considered, by some, to be one the world's best hikes, I knew I had to check it out while I was in town. 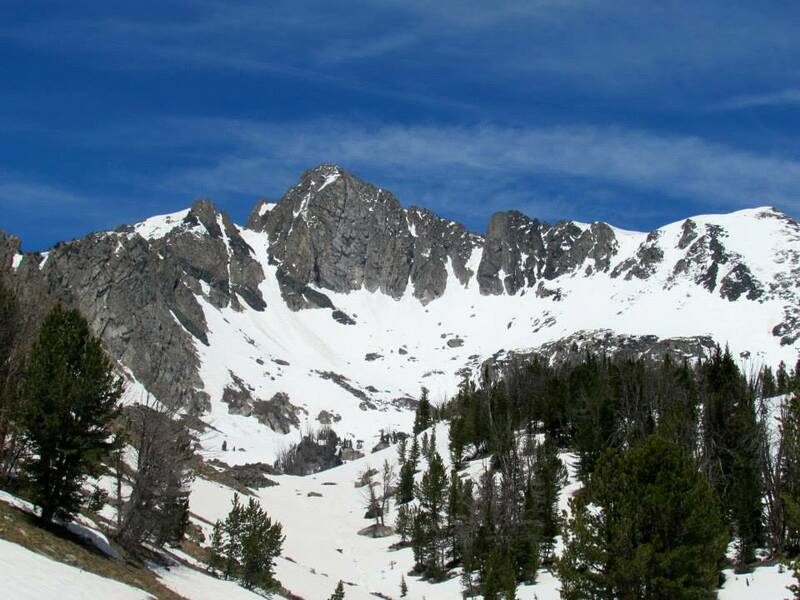 The reviews for the hike all said it was easy and suitable for all levels of hikers. At about 4.5 miles round trip I figured it would be an easy jaunt up a path to a nice view where I could enjoy a PB & J by the lake at the top. I hit the trail in running shoes and my day pack and was pretty much immediately blown away by the scenery. Big Sky is breathtaking from the road, and even more so from the little cabin I'm staying in on one of the many ski slopes that have been abandoned for the summer. However, on foot, it is unreal. Recommendation: DO IT! 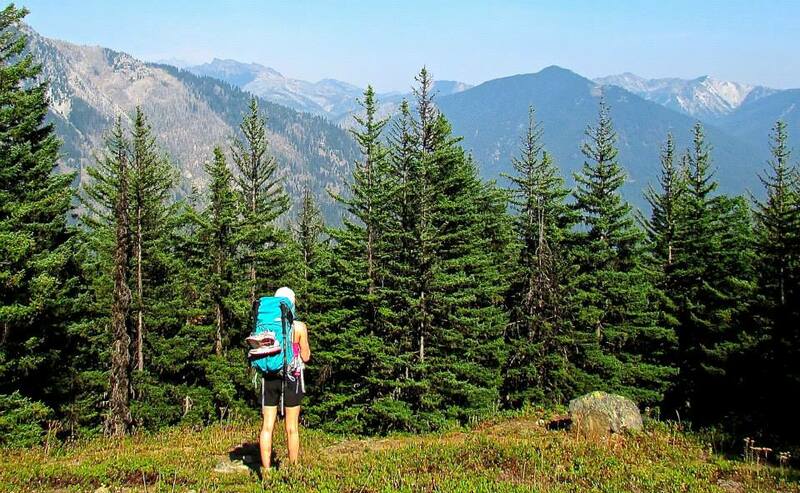 Beehive Basin is a beautiful hike with incredible views. It's fairly easy (I'm sure even more so when there isn't so much snow) and it makes for a fun day in Big Sky. 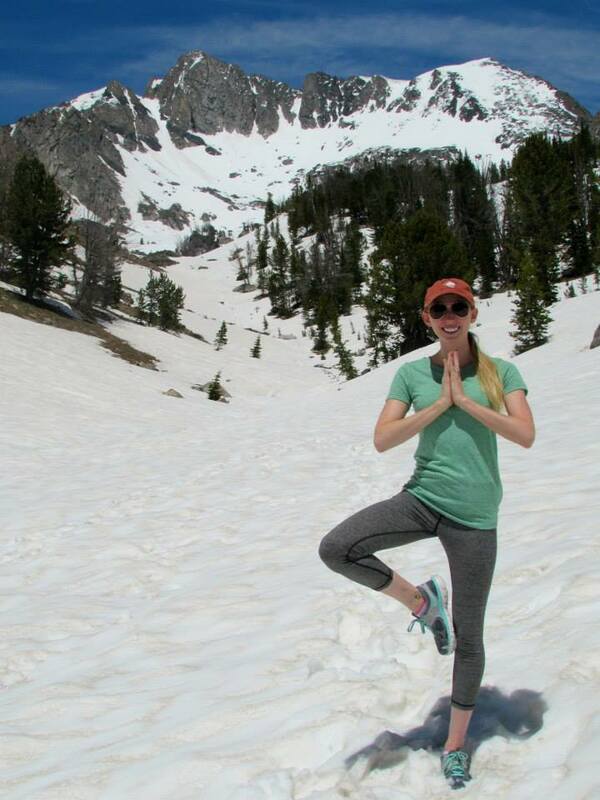 Just try to hit it when the majority of the snow is melted...and opt for hiking boots! Let's be frank about Frank: it's even better than you'd think. If you are on Instagram, chances are you have heard about Frank Coffee Scrub - pretty much the hottest skin-care product out there right now. Guys and gals alike are absolutely raving about Frank. Instagram is plastered with pictures of customers, covered in coffee scrub, lovingly clutching their pouches of Frank and professing their undying love for the product. Not to mention, Frank's marketing is brilliant, [ just visit frankbody.com to see what I mean.] It got to the point that I couldn't temper my curiosity any longer. I ordered a pouch of the Coconut & Grapeseed coffee scrub and anxiously awaited Frank's arrival. First of all, the packaging is beautiful and cool. Frank comes in a resealable paper pouch. 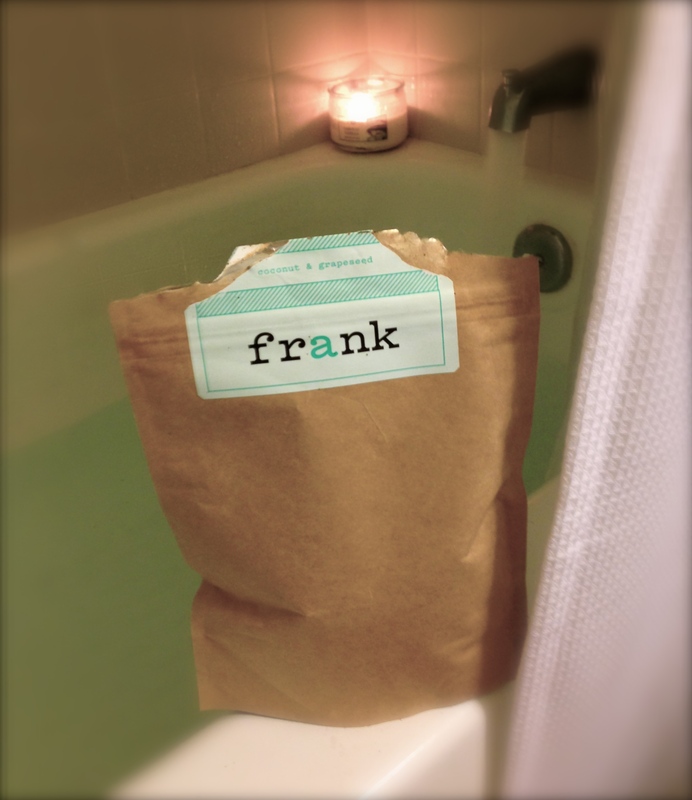 Frank comes in three scents, original, cacao, and coconut & grapeseed, which is the one that I got. I'm a coconut fan, what can I say? The coconut & grapeseed coffee scrub smells a lot like coconut and a lot like coffee. Put simply, it smells pretty darn amazing. True to the warning on Frank's label, the whole process is super messy. But, it's easy to clean up, and totally worth it. Here's how it works: Hop in to your empty bath tub or shower, get yourself damp, then scrub your little heart out and let the scrub sit for about 5-10 minutes before rinsing. Trust me, your skin will have never felt so smooth. It's kind of amazing. Plus, Frank claims to help reduce cellulite, psoriasis, and stretch marks, so there's that too. My recommendation: Get your Frank on. As soon as possible. 100% worth it. Did you know that it only takes 26 seconds for cosmetics and other products that are put onto your skin to be absorbed into your bloodstream? Scary. And gross. Especially when you consider the types of chemicals and "mystery" ingredients that are in most skin care products. The most startling part of that statistic, however, is that everything you put on your skin gets absorbed i n. When I heard that, I started paying more attention to the types of ingredients and chemicals that are in my makeup and lotions. It was terrifying. Such a large number of the ingredients are unnatural and man-made. When I was in Haleiwa earlier this year, I discovered a skin care line based out of the North Shore of Oahu. The company is called Honey Girl Organics and their products are all natural, organic, and oh-so-good for your skin. Plus they smell amazing. Ingredients include honey, beeswax, and royal jelly, all from the company's own Hawaiian grown bees. Since I've started using Honey Girl Organics products, my skin has never felt better. Bottom line: I highly recommend giving this skin care line a try. My favorite Honey Girl Organic product is the Face & Eye Cream [$30.99]. Check it out at www.honeygirlorganics.com.